This scenario certainly evokes an epic battle, such as those of medieval romances and fantasy novels and movies. We are to engage in battle. But how on earth does the dragon come into the world in the first place? It is our “enemy,” the one who is here to prevent us from entering the cave where the treasure is hoarded. And the treasure is our creativity and its great potential for achievement. 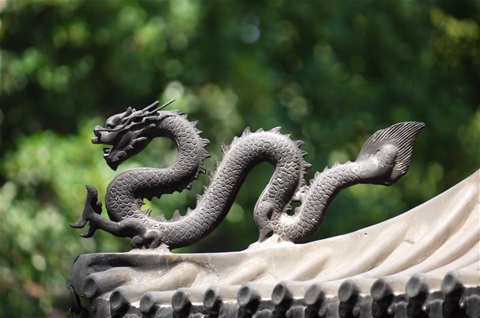 I think the dragon comes into being as a crystallization of our fears, internalization of so many self-limiting beliefs and prescriptions we have been given throughout our life, that we barely remember or recognize them. It is a monster, a compound hybrid creature the knight needs to dismember in order to make sense of its power. Maybe, the knight could befriend the dragon, let it speak for a while, the time of receiving a gift and an explanation. Then something miraculous might happen: the dragon would turn into an ally, a giant pet, whose power the knight could harness for good. What if, instead of battling our way through our creative projects, we could play with the dragon, through visualisation, narrative and dream incubation, or other ways, playing with the dragon’s unique message for us? There will certainly come a moment we will have to tie the dragon to the post of discipline, but it will be much meeker and understanding of our aspirations than it was in the beginning of our project. It will even support us with its fiery breath and stamina. Instead of going to battle and drawing out our wilful sword, let us be playful, for something amazing could happen in the process: as the dragon becomes our pet, we may turn into children again… and be greatly inspired. Our adult self could deliver the child to the playground every day out of great fun and decide to supervise the child’s games. Together, they could bring into the world their best work, our best work.